What is an unlocked smartphone? An unlocked smartphone is a phone that isn't tied to a specific carrier or contract. Therefore, you have the freedom to shop for the latest phones and plans as often — or as infrequently — as you like. Plus, they don't come preloaded with numerous carrier applications that that take up space on your phone. And when it comes to international travel, unlocked phones can't be beat. It's important to pay attention to network compatibility when choosing an unlocked phone. All unlocked phones work on GSM networks, while universal unlocked phones work on all major US carriers. All unlocked phones work on carriers that use GSM networks. Popular U.S. carriers that use GSM networks include AT&T, T-Mobile, Cricket, MetroPCS, Simple Mobile and Tracfone. Most foreign carriers also use GSM networks. You will need to use a SIM card from a GSM provider to get service for your unlocked phone. A number of newer unlocked phones such as the Moto G5 Plus are universal and therefore compatible with all major U.S. carriers in addition to most overseas carriers. You can choose almost any carrier or plan and all you need is a SIM card. Common US carriers include: Verizon, Sprint, AT&T, T-Mobile, Cricket Wireless, MetroPCS, Simple Mobile, TracFone, Total Wireless and Boost Mobile. Check with carrier for phone compatibility. Save money and get more options. By purchasing an unlocked phone you can continue to use older or legacy voice, text and data plans. This can save you money and allow you to keep the plan you are comfortable with. You can also get financing for your phone using your My Best Buy® Credit Card. Since there are more unlocked phones, you have more options and features to choose from compared to phones with plans. You can choose from some of the top phones on the market such as the Samsung Galaxy Note9. There are also many phones that are only available in unlocked versions such as Moto G5S Plus and ASUS ZenFone Max Plus M1. If you drop or break your phone there are a number of affordable unlocked options like the BLU Grand M2 or the Samsung Galaxy J3. Unlocked phones offer great flexibility to international students, tourists and business travelers. Since international roaming rates with your current phone and U.S. network can be high, buying an unlocked phone for overseas travel can save you money. With an unlocked phone, you'll pay the same lower rate as the locals do for calls in that country. It can be as easy as purchasing an unlocked phone in the U.S., traveling to your destination country, and purchasing a local SIM card. Dual-SIM unlocked phones such as the ASUS ZenFone Max Plus M1 can house up to two SIM cards in the same phone. This means you could have your U.S. SIM card and a local SIM card from the country you are traveling to together in the same phone. You could also use a dual-SIM phone at home to maintain separate work and personal lines on the same phone. Setting up an unlocked phone. To use an unlocked phone in the U.S. or abroad, you will need a SIM card for the carrier of your choice. SIM cards are small cards that house carrier and user data within your smartphone. If you purchase a replacement phone or upgrade to a new unlocked phone, you can take out the SIM card in your old phone and pop it in the new one. 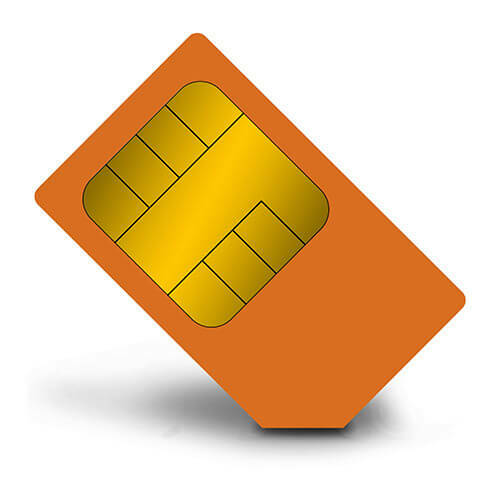 If your old SIM is not compatible (size difference) or you are changing carriers, you will need to purchase a new SIM card. 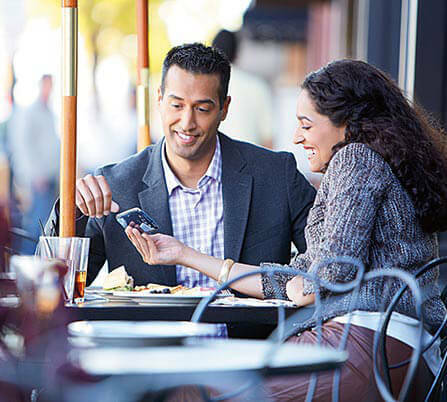 Best Buy sells SIM kits that allow you to activate your unlocked phone with a prepaid wireless carrier such as AT&T Prepaid, Verizon Prepaid or Cricket Wireless. If you need a SIM card for one of the major carriers like Verizon, AT&T or Sprint, you will need to visit a Best Buy store to purchase and activate your SIM card. Purchase an unlocked cell phone with your My Best Buy® Credit Card and get 24-month financing on unlocked phone and Geek Squad® purchases totaling $649 and up. Keep your cell phone working like new with the help of over 20,000 Geek Squad Agents who will get you up and running again if the unexpected happens. You'll be protected in case of drops, spills, cracks, normal wear and tear, or mechanical failure.